Very mysterious and charismatic camera. Different camera resources supply us with very contradicted information with reference to Smena or Smena-4 cameras. Camera has new construcion of shutter type and new shutter speeds 1/8, 1/15, 1/30, 1/60, 1/125, 1/250 + B. Both T-22M lens and shutter faceplate are black. Comes with synchronized flash. PB0505. 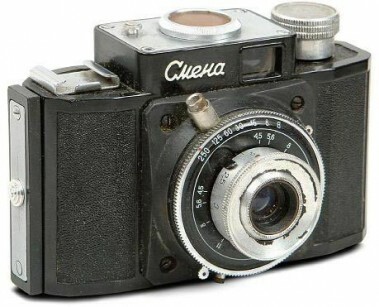 An early version of the particular camera. Character "M" is not mentioned at all on the nameplate. PB0510. Very uncommon "M" modification described on Princelle & Suglob books. 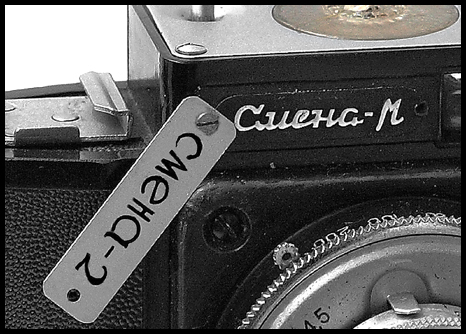 Camera with typical shutter has both new shutter speeds written on shutter faceplate and old shutter speeds written on the top of shutter housing! In addition, camera has the selftimer. 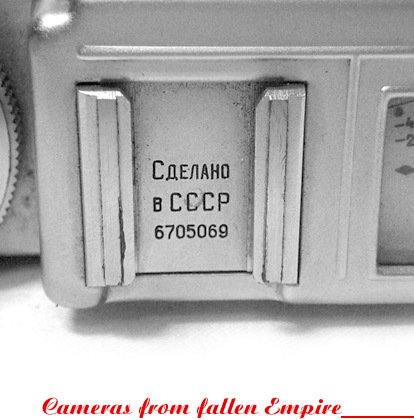 Picture of the Smena-M opposite was kindly provided by authors of famous SSK book "1200 cameras from the USSR", 2009. PB0515. 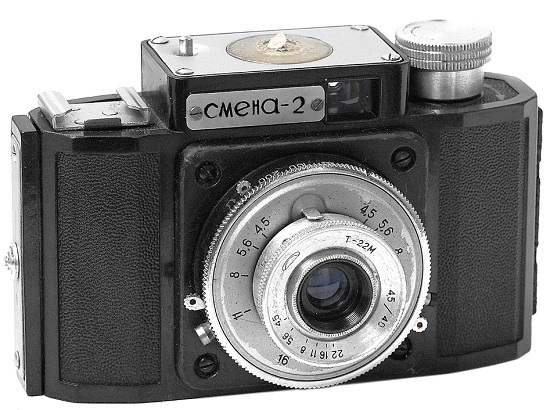 Very uncommon version, under name "Smena-2" White metal plaque screwed on the camera's frontplate. Both shutter faceplate and T-22M lens are white, plastic frame counter. In addition, camera has the selftimer.Please, take a look at the same camera below (with metal plaque screwed off). 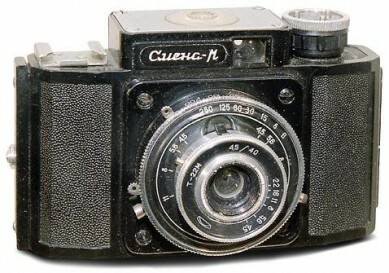 Camera from Viktor Suglob (Belarus) collection). PB0520. Under name „Смена-M“ in Cyrillic. New shutter type and speeds, flash synch. 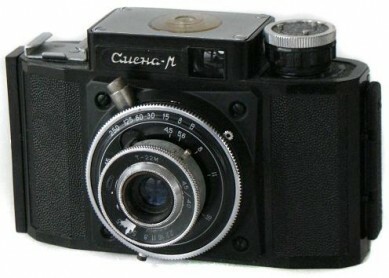 Lens T-22M with MMZ logo. PB0525. Camera identical to PB0520, but with new top plate mouldings. All characters on the nameplate are bigger size. 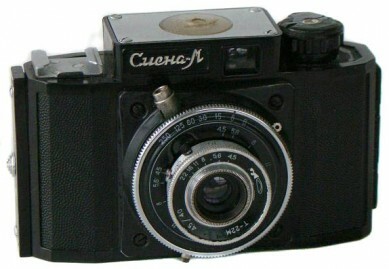 Camera from Viktor Suglob collection.